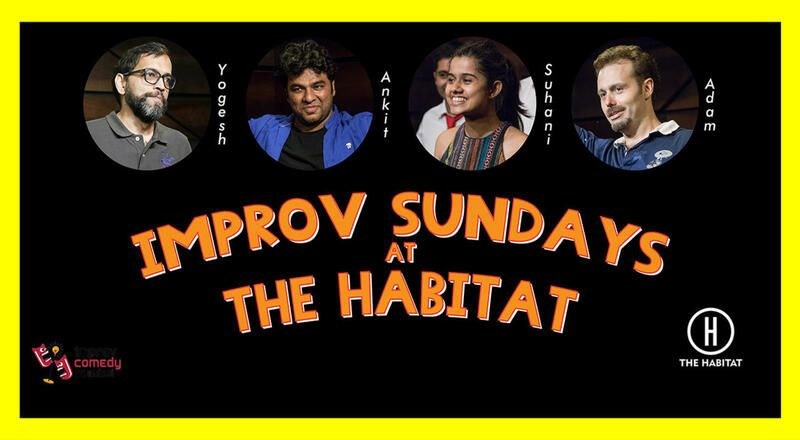 Sundays at The Habitat just got better. Improv, the other type of comedy, finds a home. Improv Comedy Mumbai from the many companies active in Mumbai will bring this unique and thrilling art form to the audience on 7th October. End your Sundays with a fantastic supply of comedy that doesn't use a mic and get ready for the coming week with a smile on your face!